Client assistance service for the upgrading of the external fire control system at the Alstom Transport site in Aytré, near La Rochelle. Project management assistance relating to sprinkler fire protection of the Créteil Oudry IV building extension. 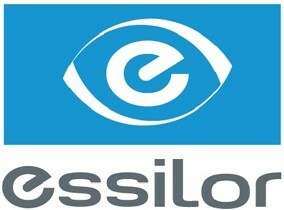 Assistance to Marsh/Essilor with contractor selection process. Preliminary design of the pump room for the water curtain isolating the electric bus charging platform from a third-party public-access building at the RATP bus depot in Rue Belliard, Paris. Preliminary design of an underground water supply (tank and pumping system). Preliminary design for the installation of metal stanchions supporting the water curtain. Preliminary design for feeding the fire control system from the mains supply. Assignment: Preliminary design, particular technical specifications, fire detection and protection. Definition and pre-dimensioning of the pump room, water tank and pump. Check to ascertain whether the existing facilities have the required performance for the new installation. Layout of the main piping and equipment in the pump room and in the DSB building. Overview and layouts of the fire detection system, including connection to the site fire safety system. Basic engineering drawing of the underground piping systems.